No parking lot view from this home! You will enjoy views of a wooded area, creek and wildlife from every room and the private balcony. As you enter into a large vaulted living room, dining area and kitchen you will notice all the updates such as new flooring, counter tops, sink and faucets and paint throughout including the ceilings. Two electric fireplace with blowers located in living room and Master bedroom. This unit has 2 large bedrooms, 2 full baths, and walk-in closets. French doors open into an additional bonus room which is currently an office, would also make a great craft or exercise room. There is additional storage in the hallway outside the unit and a one car garage accessible from inside the building. Secure entry leads to bright hallway and open staircase. Directions:3rd Street Rd. to Hawthorne Pointe Drive, Last building on the left. SchoolsClick map icons below to view information for schools near 9100 Hawthorne Pointe Dr #203 Louisville, KY 40272. 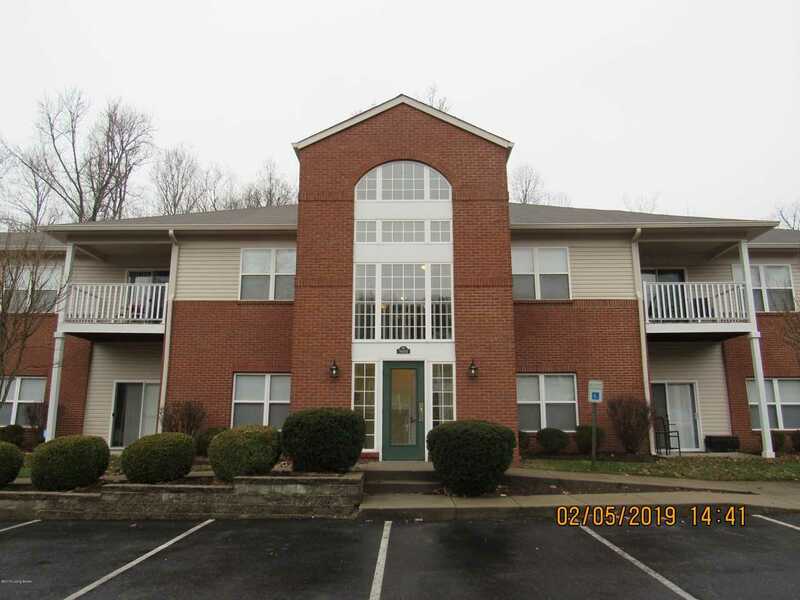 MLS # 1524107: This property at 9100 Hawthorne Pointe Dr #203, Louisville, KY 40272 is located in the Hawthorne Pointe subdivision and is listed for $139,000. MLS # 1524107 has been on the market for 76 days.